The importance of self-image according to SOAS Ambassador Kelly. 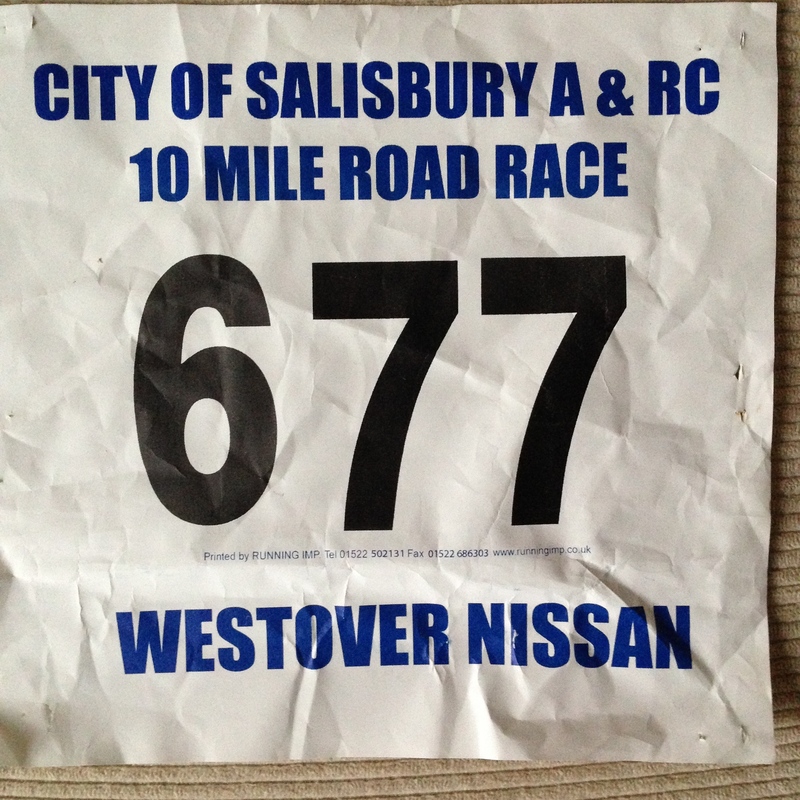 I wasn’t sure how I felt about doing Salisbury 10 mile. Two years ago, it was held on an incredibly hot day. I got a 5k PB, but then had to ask Irene to leave me as I was overheating. At the five-mile drinks station, I stopped and had three cups of water, which meant that the marshals told me off, stating that “it’s against the rules”. I’ve still never heard of the rules that they’re referring to. Surely, the health and safety of the runners is of paramount importance? Last year, the day of the race was much colder (and wet), so although I wasn’t feeling on form, I managed to get a 10 mile PB. This year I had realistic expectations of the race. I wanted it to form part of an 18 mile run. I wasn’t worried about my time, I just wanted to work on my nutrition strategies, or more specifically my hydration strategies, so that I finished the race feeling strong and not overheating. I spoke to Laura who is also training for Brighton Marathon, and we decided that we would do four miles before the race and then four miles afterwards. Before going to the race, I drank two pints of water, as I thought that might help with dehydration issues (especially as I drink at least a pint of water before going to work every day). I collected Laura and we drove to Salisbury, arriving early enough for me to register (I’d forgotten to do it before online entries closed) and collect our numbers. Laura and I the set out to do a gentle run before the race. We had been warned that it would be a hot day and I was grateful that I had just a t-shirt and shorts for the race. Even at 9am, the sun was up. Laura and I ended up doing just over 5km before the race started. I started off near a group of other Lordshill Runners, but I had decided that I just wanted to run my own race, so I ignored the others and did not try to keep up, even though it was the club championship race. My focus was just on sticking to my strategy of drinking lots of water and eating gel sweets when necessary. We had been told that there would be drinks stations at 2, 4, 6 & 8 miles. As soon as I saw the 2 mile drinks station, I picked up a cup and drank all of it. There weren’t many spectators out on the course, but there was a nice group of runners and it felt like I was running consistently, so I was happy. 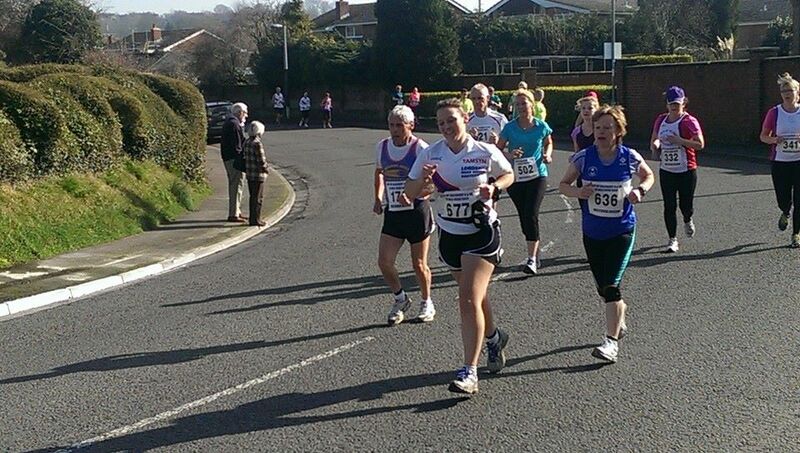 I managed to pass a few runners on the downhill, which made me feel good. I reached 4 miles and was surprised that there wasn’t a drinks station there, but I remembered there being a drinks station at 5 miles in previous years, so I wasn’t too bothered. I decided that it would be good to drink some of the water that I was carrying, so I knocked back about half a bottle. Not far before the drinks station, I saw Inez’s partner Peter, so I gave him a wave. I was starting to feel very hot, so I was really grateful that a drinks station was coming up. I put out two hands for water, but was told that they were running out and that I could only have one cup. It had less than 2cm of water in it, which was very disappointing. I kept moving and decided to drink the last bit of water that I had, reasoning that I could stock up at the next water station. I tackled the largest hill on the course and was pleased to note that despite feeling very hot, I didn’t find it as difficult as I thought I might. I managed to chat a bit with some of the other runners, which helped to keep me feeling motivated. Eventually, I got to the part of the course that I had seen on my pre-race run, so I knew that I was close to the water station. Imagine my feelings of despair when I found that the table had been taken down as they had run out of water. I was feeling so hot and it was already 1:24 into the race – I’ve run 10 miles in that time as part of a longer race before, but I still had two miles to go and was unbearably hot. I pressed on and saw some LRR supporters about a mile from the finish. Unfortunately, I wasn’t feeling very happy, so I shared my feelings about the race organisation with them. I knew that it wasn’t too far to get to the finish, but first I had to run past the track to get onto it and then run almost a full lap. I wanted to sprint, but was feeling really ill, so just kept staggering towards the finish line. I crossed the line in 1:40:42, which is one of my slowest race times ever. I immediately drank a couple of glasses of water, which helped to make me feel a bit better. Once I had revived a bit, I collected my race t-shirt and then asked whether the Race Director was around. Too many times before, I’ve not said what I’ve thought, so I decide that I should let him know about the problems with the race. Unfortunately, he seemed surprised that there wasn’t enough water on the course and responded with, “Well, at least you got a nice t-shirt”, which wasn’t really the response I was looking for. I went back to the sports hall with Laura and Sarah to collect our bags, before heading off for the rest of our run. It was nice to have a fresh t-shirt to put on, and no pressure to move quickly. We headed along the river as we thought it would be cool, but the path was closed as it had been flooded, so we went across some fields instead. In the end, we managed to do another 7km. Overall, I finished the race 630/694, which is very disappointing – I must start working on my speed as soon as I’ve completed my marathon. Speed and distance opposite ends of a spectrum. You current goal is a marathon, so don’t worry about position in a race that you’re not racing. It was a training run, and you succeeded in completing distance with sub-optimal hydration and very hot conditions! You do sound like you need a lot of water. I’d never get going again .after drinking three cups of water mid race. I was doing an Ironman on the hottest day this year. They really went out of their way to make sure we had dnenou water and best of all were the water sponges to cool us down with . Even on marathons I’d just be having a few sips along the way. Hopefully they’ll have more water this year. I’ve certainly never drunk that much during a running race before, but it was unbearably hot and I felt quite faint. Be yourself – everyone else is taken!